This diagram is the solution to a fundamental geometric puzzle underlying human anatomy. 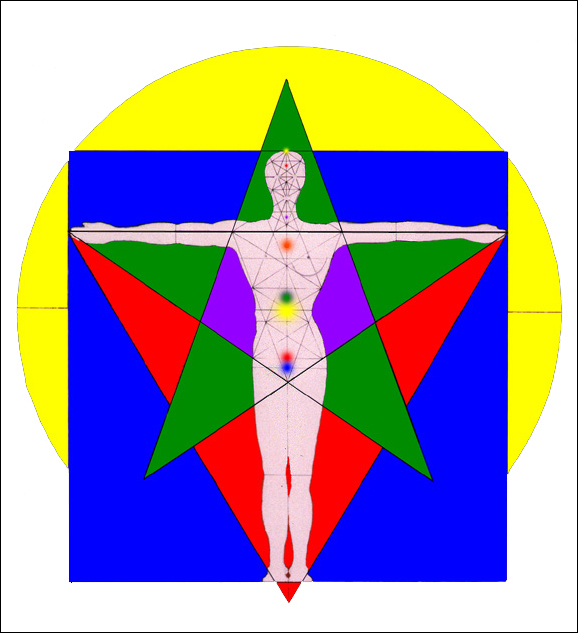 Fournier's Vitruvian Man, Geoman, adds two of the three fundamental polygonal shapes in plane geometry, the equilateral triangle and the pentagram, both in the golden mean relationship to the same circle represented with the square in Leonardo daVinci's Vitruvian Man. In this drawing the figure's right side is masculine and the figure's left side is feminine.